Quite a number of things have been happening around here lately. So without further ado, let's go through the news one by one. We recently announced that a Kickstarter campaign for Panic Dizzy on the NES had begun. Well 12 hours into the campaign, the target of £13,500 was reached in an instant. 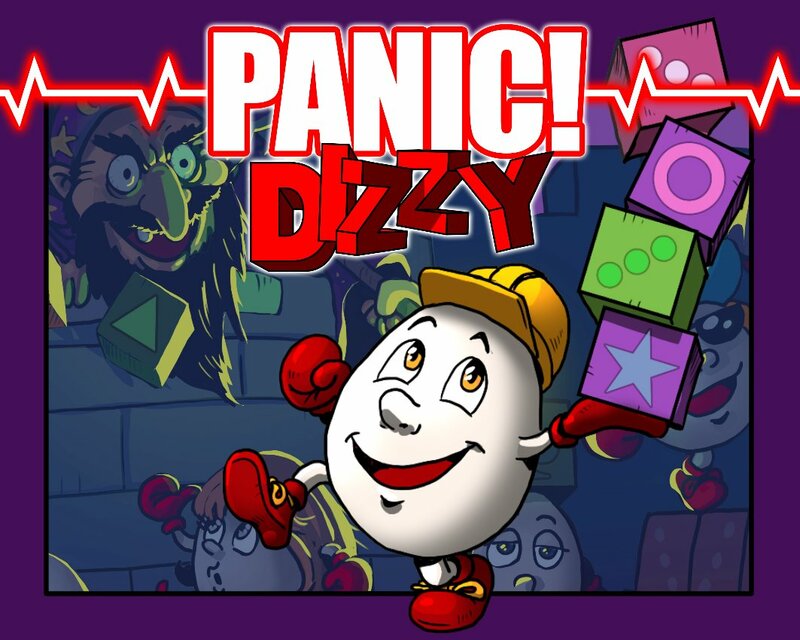 With stretch goals unveiled, you can still contribute to the campaign by visiting Panic Dizzy's Kickstarter page. The campaign ends on the 10th March. A month ago, we heard the news that The Oliver Twins were leaving Rebellion to start a new chapter. Game Dragons is the name of the Olivers new video games consultancy buisness. Using 35+ years of experience, the twins have set up Game Dragons as a way of helping new video game companies move forward. You can learn more about their buisness on their website. Another DizzyAGE game has been given the Spectrum demake treatment. This time, Verm-V has has made 'Dizzy and the Mushroom Pie', the very first DizzyAGE game ever made by Alexandru Simion. Dizzy has to find some mushrooms so that Daisy can make a pie for Grand Dizzy. This is the third Spectrum (TR-DOS) game to be made using the 'Dizzy Scripting Engine'. While on the subject of making games for the Spectrum. 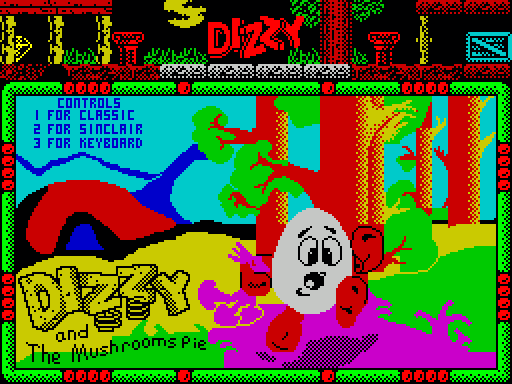 Hippiman has released the 'Dizzy Scripting Engine' (also known as Dizzy SE) which allows programmers to make their own Dizzy game for the Spectrum (TR-DOS). The manual is only available in Russian at the moment and their are plans to update the engine with more features. The Links page has been updated with the two new sites.